The current municipality of Figaró-Montmany encompasses the former Medieval castle of Montmany. Its origins date back to the time when an inn was located on the old road between Barcelona and Vic. Owned by the Figero family in the precipitous Congost area, it was a mandatory stop for travellers. 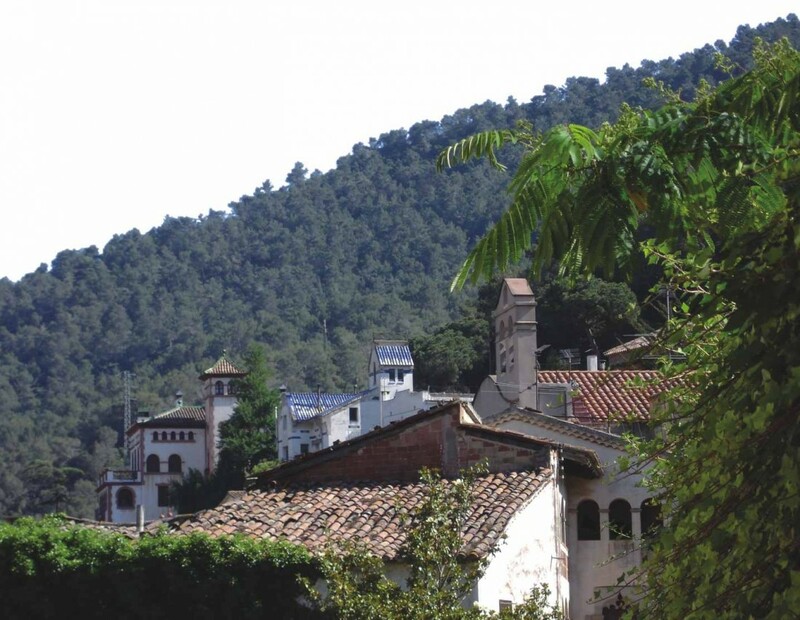 At the beginning of the 20th century, the beauty of its landscape, mild climate and good transport links - a modern road was built between 1846 and 1851 and the first train between Garriga and Vic began functioning in 1875 - meant that the town became an attractive summer destination. Even today, the beauty of its natural surroundings, nestled between Mount Montseny and the Bertí cliffs, provides it with an outstanding municipal heritage. The architect Manuel Joaquim Raspall also worked in Figaró-Montmany during the Modernista era. According to research by Cuspinera, his earliest work was reforming Casa Gallart in 1908. It is a house with white walls and a classic large tower, decorated with white and blue tiles and original wrought iron work. 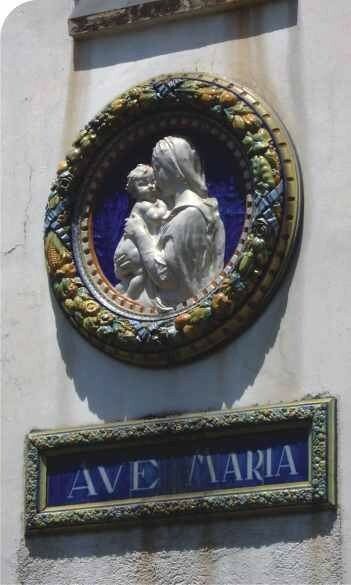 It is popularly known as "Ave Maria", because of its stained glass ceramic medallion representing the Virgin and Child and inspired by Renaissance works. 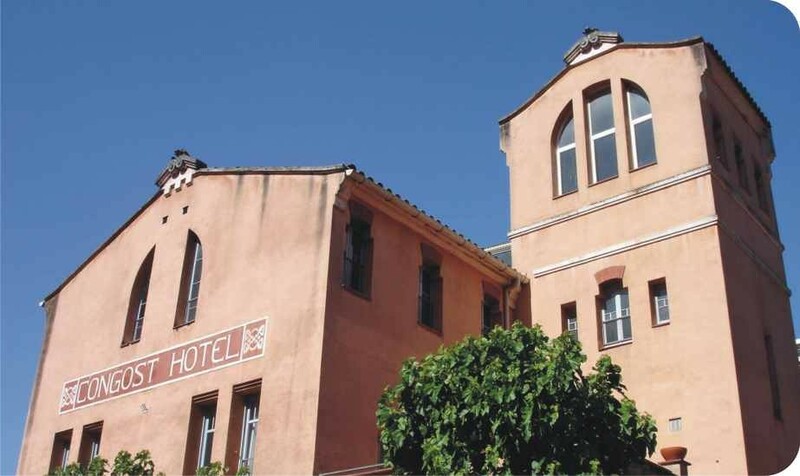 Casa Espelta dates back to 1910 and it is also worth mentioning the reformation of the Hotel El Congost in a later year, 1921, done in an almost Noucentisme style and now housing a home for the elderly. The adjoining Villa Pepita and Villa Rosita, both 1915, are different in style and are more in keeping with Noucentisme. Raspall used a very common element here: a frieze made up of small tiles that, in this case, alternate between yellow and brown tiles. Under the roof, he placed some sgraffito with stylised plant drawings around a sign with the villas' names. Raspall also designed the building housing the town council's schools, located on the road to Ribes, thereby consolidating the road as a thoroughfare and substituting the old road the inhabitants had used. This recently restored building is highlighted by the functionality with which it was conceived, with groups of twin windows covered by eaves and decorative walls with simple sgraffito and a ceramic frieze. Finally, it must be mentioned that the Modernista route through Figaró-Montmay is also part of a literary heritage, because its landscape inspired Raimon Casellas to write his most famous novel Els sots feréstecs (The Wild Ravines), which was published in 1901.